As CEO, Bob Diamond terminated 30 Barclays Bank staff in 2011 for breaking his “no jerks” rule. Diamond said six staff, who ran up a £44,000 lunch tab in London, epitomized “jerk” bankers. He said the rule applied to bankers who are prima donnas, too greedy, too ostentatious, or poor team players. How do you identify the jerks? When does a valuable maverick cross the line into Jerk-Land? How do you decide who to coach—and who to fire? * Ball Hog: Doesn’t play well with others. Wants the limelight. How to Handle: Emphasize the need to let others shine. Watch closely. * Mutterer: Doesn’t speak up in the meeting but sarcastically criticizes afterwards. How to Handle: Tell them to speak up or hit the road. * Passives: “Whatever.” How to Handle: Tell them to get engaged: step up or step out. * Yes-Man/Woman: They aim to please and always like whatever the boss likes. How to Handle: Insist on pushback. Otherwise, no one gets better. * Whiners: “I don’t have enough time (or resources, budget, staff).” How to Handle: Tell them we all must do more with less. * High Maintenance: Need constant attention. How to Handle: Don’t feed their neuroticism or play their games. Set boundaries. * Not-Me/Not-My-Job: Never take responsibility and won’t help others. 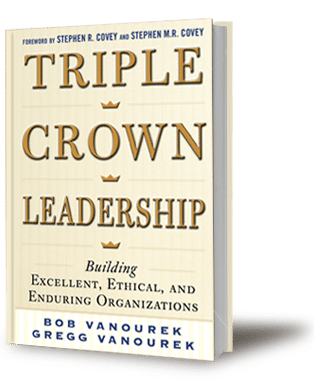 How to Handle: Tell them leadership is a group performance: step up or step out. * We-Tried-That-Naysayers: “It didn’t work before, and it won’t work now.” How to Handle: Tell them brainstorming is never to be criticized. Build on the idea. * Know-It-Alls: Those who think they have all the answers. How to Handle: Tell them to start listening to others and share what they know. * Crazy Makers: Too many memos, meetings, ideas, and panic attacks. How to Handle: Limit your time for them to X minutes/week. * Good Rebels: The quirky mavericks who have breakthrough ideas and who abide by the organization’s shared values. How to Handle: Protect them. * Dictators: The “my way or the highway” tyrants. How to Handle: Give then two chances to change. On the third strike, they’re out. * Unguided Missiles: Quiet in a meeting, they then launch a Scud missile, and sit back to watch the chaos. How to Handle: Two chances to change. * Non-Aligned: Those who refuse to accept the organization’s purpose, values, and vision even though the latter are fair and reasonable. How to Handle: Work with them to see if it can be addressed. If not, part ways. * Malicious Compliers: When instructed to do something, they comply anyway knowing there are negative consequences. How to Handle: If consequences are severe, they’re out. Otherwise, one warning. * Saboteurs: They deliberately harm people, relationships, or assets. How to Handle: If harm is severe, they’re out. Otherwise, one warning. * Destructive Achievers: Unethical high-performers who leave bruised psyches in their wake through insults, bullying, threats, and humiliation. How to Handle: One warning, then out. * Toxic: People who are abusive, manipulative, narcissistic, or worse. How to Handle: Fire them ASAP. 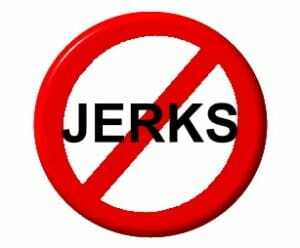 More and more firms these days are using a No Jerks Rule. Oops. Diamond recently resigned as CEO of Barclays in the midst of the LIBOR interest rate manipulation scandal.